Emily Click is assistant dean for ministry studies and field education and lecturer on ministry at Harvard Divinity School. Her scholarship has focused on new ways of conceptualizing connections among adult education theory, human development theory, and education for religious leadership. She is ordained in the United Church of Christ and has a decade of congregational ministry experience. 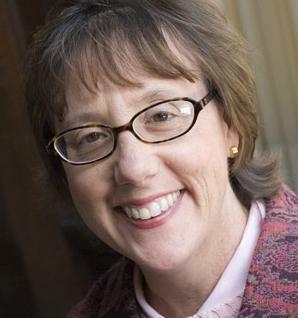 She currently serves as chair of the steering committee of the Association for Theological Field Education (ATFE), the North American professional association for theological field educators. She teaches in the areas of leadership, administration, and finance, in addition to teaching about mentoring and the process of theological reflection on the practices of ministry. Imagine that throughout the history of theological education, teachers have worried over whether their students have come into programs with adequate preparation. At one time, the concern may have centered on whether students had sufficient knowledge of Greek or Latin to read ancient texts. Today’s teachers similarly express concern over the inadequate preparation of their students, usually focusing on the lack of church attendance, membership, and experience of their students. Here, I will focus on other possible ways to think about preparation for theological study. There are multiple meanings to the concept of literacy, which implies there may be diverse types of preparation that will best enable students to engage fully in theological learning experiences. I begin by considering what I expect students to come into theological education ready to do, what skills I would hope they bring, and what level of understanding I would hope they have. Let me briefly describe a few unique or particular aspects of our programs at Harvard Divinity School. One outstanding feature of our presentMDiv program is its interfaith engagement. We now have a curricular requirement that every MDiv first declare the religion on which they will focus, and that they then take at least three courses in another religious tradition beyond the one on which they will focus the majority of their studies. We make this requirement out of a conviction that students benefit from preparing for ministry through deep engagement with multiple traditions. Put another way, one only knows one’s own tradition well if one also knows another. You can anticipate, therefore, that what I think of as literacy, or preparedness to enter into such an educational enterprise, might differ from what other teachers in theological education might long for. I want students who are ready to critique their own stances and to study other positions and actions with openness to how those traditions might deeply inform their own convictions. Not every student is ready to do this work, but I find that to assess such readiness, one cannot administer a test that measures knowledge in the content of just one religious tradition. Instead, students are likely to be ready for this work if they have already engaged in work that has been messy but compelling, and if they have brought passion into that work even before they enter theological education. “After the bell rang, and the last few students straggled in, he looked over the lectern and said, ‘this has been declared a day of prayer. My son is in the Mekong Delta, on a gun boat, fighting in this war. My namesake, Wayne Barnett (son of another seminary professor), fled the country because he concluded that this is an immoral war. You tell me how to pray.’ He was quiet for a while, then said, ‘Class dismissed,’ and walked out the door. At first, none of the students left. We just sat quietly in our chairs. Our moral certainty was stopped in its tracks by the complexity of prayer in morally ambiguous moments. The fundamental need for humility in all prayer began to dawn on us. We left slowly, each of us at different times.” Aleshire concludes: “I still remember that moment vividly. I was shaped by that moment, maybe even changed by it” (28–29). I think that what we are here to consider today is how students are shaped in advance of moments such as these, so that they can then fully receive the wisdom of professors such as Wayne Oates who have the good sense of how to capture teachable moments. I would therefore argue that theological literacy is both a grasp of some content, or information, and also a sort of readiness of heart, an openness of spirit to fruitful questioning in the face of what Aleshire calls moral ambiguity, or what I would name as complexity. While at Harvard Divinity School, I have had the good fortune to be able to develop a field education program in which some students go abroad for field education experiences during their master’s programs. Students generally design their own international field education experiences, and in recent years these have included working with orphans in Tanzania, helping the St. George cathedral in Cape Town, South Africa, develop its memorial to apartheid, and studying with Buddhist teachers in Nepal. I see such experiences as crucial to the development of an aptitude for suspending one’s certainty that one’s own perspective is necessarily the most comprehensive and the best for engaging in the adaptive work most of our graduating students will lead. A student who discovers they learn and gain more than they can possibly give while sojourning in a supposedly underdeveloped and impoverished context returns to their own environment far more ready to see possibilities of engaging and sharing leadership with capable others. When I consider what prepares students to be ready to engage in learning experiences such as those I have just described, I would point to the way that many of our students enter theological study after doing significant social justice work, either during their undergraduate studies, or in years between graduation and entering our program. We admit many who have been part of community organizing efforts, such as Teach for America, Peace Corps, and other valuable exercises. I think these programs teach far more than how to be a public health worker, teacher, or organizer. They teach students how to suspend certainty in favor of gathering good information and how to delay forming opinions in ways that enable nuanced judgments. These are some of the competencies I would like for us to consider “literacy” for theological education. I serve as one faculty person on the admissions committee. So I actually contemplate the question of assessing transcripts and applications for the type of “literacy” that I think will best prepare entering students to take advantage of educational opportunities at Harvard Divinity School. On the admissions committee, we argue over transcripts that range from outstanding undergraduate study in religious study to transcripts that show evidence a student has focused on math or science or music. Whenever I read an application, I look for a student who has exhibited a spirit of diligence in study, coupled with a heart for exploration and curiosity. One without the other, I think, does potentially point to the kind of deficit in preparation that might be called “illiteracy.” An abundance of curiosity that has not been matched by diligence in extending difficult study over time is unlikely to sufficiently prepare a student for the range of experiences and studies at our school. Similarly, a student who has only focused on amassing details of religious traditions, but has never engaged their heart or poured out their energies in difficult engagement with intractable life problems, or entered into the sorts of captivating relationships that grow out of intense and challenging contexts, is perhaps equally “illiterate” for the work we will expect them to complete in the classroom and beyond. Earlier, I described several of the defining characteristics of the Harvard Divinity School curriculum: its focus on interfaith study in preparation for ministry and its fostering of respect across divergent traditions. I would also like to describe the ethos of the place in this time. As we prepare ministers who will serve as congregational pastors, community organizers, lawyers, journalists, and as professionals in many other settings, we focus on developing a lasting habit of heightened imagination, as one crucial competency for ministry in an increasingly complex context. Additionally, we foster the development of what we call pastoral agility. This phrase, often employed by my colleague Stephanie Paulsell, points toward the ability to hold one’s convictions in such a way as to imagine those convictions might point to various faithful actions and ways of engaging social justice. So as I contemplate our goal to develop imaginations and foster pastoral agility, I return to the type of literacy that will best prepare them to come and be part of this exercise. In an article on integrative learning, Mary Ann Davies talks about helping students develop the capacity to “recognize the interrelationships that shape their world” (“The History Teacher,” Integrative Studies: Teaching for the Twenty-first Century, Vol. 34 No. 4, August 2001, 471). Students will gain the most out of theological education, I believe, if they are already practiced at recognizing how diverse disciplines inform each other. They may develop such abilities in great religious studies programs, but they may also develop this competence through other routes as well. I do want to name a kind of illiteracy that I have seen that can block students from fully learning in our environment. It is the uncritical adoption of the assumption that Christianity, as the dominant religion, is a monolithic problematic religion that has not ever fostered self-critical capacities in its leaders. The abundance of evidence that some Christians are highly ignorant and take their dominant position of privilege as an excuse to oppress others is unfortunate. But there is a small minority of students who have never encountered the multiplicity of Christian perspectives and who sometimes reject Christianity as a valid and ethical religion. This is one kind of illiteracy that I think can prevent students from taking full advantage of education in a school with a tradition of Christianity, but which now engages fully in multiple faith traditions. I find an environment in which such questions live both inside and outside the classroom the very best for preparing ministers of many traditions. For such is the world environment, full of varieties of understandings, each of which must be considered and engaged in order for the best cooperative action to become imaginable. I will conclude with another quote from Aleshire’s Earthen Vessels; he asks, “What is learning for religious vocation? It is the development of theological understanding that relates to responsible life in faith. This understanding is not the result of acquiring knowledge in different subject areas or accumulating different educational experiences.” He concludes, “The goal of theological learning is not the accrual of ever greater amounts of religious knowledge; it is the transformation of learners into different kinds of Christian believers” (35). Such transformation, of course, will look different depending on the type of program in which students engage. When we consider literacy as a problematic in theological education, I encourage us to recall the multiple meanings of preparation to engage in study in particular theological school contexts. This will call us to consider the diverse types of preparation that will best enable students to engage fully in the learning experiences we provide.